No one who has ever seen me would suppose me a heroine. My situation in life, the character of my father and mother, indeed my own person and disposition are all against me. MARY BENNET Mrs Bennet is determined that all five of her daughters must marry. Mary knows she is the least attractive of her sisters but to hear her parents laughing at her attempts to overcome this by being intelligent and accomplished send her into a depression. Mary and her her sister Kitty are sent to Derbyshire so that their elder sister, Mrs Darcy, can introduce them to suitable young gentlemen. On the journey Mary meets a strange gentleman whom she considers ill mannered. However she is intrigued by his knowledge about old buildings. On arrival at Pemberley, the grand home of the Darcys, Mary discovers that the stranger is a Mr Sharnbrook of Kent and also a house guest. Mr Sharnbrook is an amateur archeologist and has come to Pemberley to excavate possible ancient burial mounds. Mary is interested in his work and her spirits begin to lift. A continuation of Pride and Prejudice beginning eight months after the end of Jane Austen's novel, Mary Bennet tells the story of how the Bennet's neglected middle daughter tries to overcome the disadvantages of her person and character to find happiness. “I could not bare to listen a moment longer. I tiptoed away from the door feeling the pressure of tears behind my eyes. My own mother thought so little of me! And my father scarcely better. They said I was accomplished to everybody but in truth they thought me plain, gauche, unmusical. I knew that I was no beauty, that I was often awkward in company through shyness, that I was bookish and serious." “I looked up to see my hero. I mean, Mr Sharnbrook. Where had that idea come from? It seemed I was not entirely in control of my own thoughts. I noted the way his dark hair curled at the corners of this forehead and the stiff, dazzling whiteness of his cravat." “I fanned myself. I told myself I should not give in to every impulse of feeling. Mr Sharnbrook has some admirable qualities but also many defects. For the moment I could not recollect what any of these defects might be. I could only recall his countenance which stuck in my mind and would not recede.."
"The criticisms of my character from my mama and papa and sisters rested more lightly upon me for I perceived some of their faults more clearly than ever before. 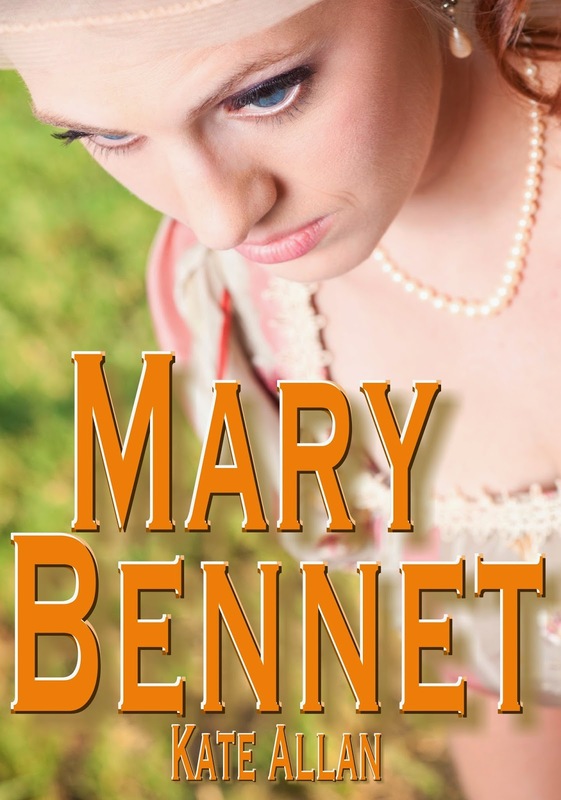 A Story that takes you back to the classic "Pride & Prejudice"
Mary Bennett was a very small character in the classic tale "Pride & Prejudice" I'm sure you have all at least heard of this story of Lizzy and Mr. Darcy. 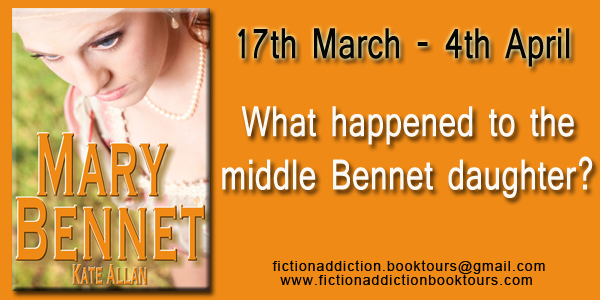 This time the character of Mary Bennett is the protagonist. I just loved the fact that Mary was getting a chance at love. Although a small character in the original novel, Mary still stuck out to me in the short parts she played. Mary and her sister Kitty were sent to Permberly to find husbands. They were the last of the Bennett sisters to marry and as such their mother was concerned. Mary's parents decided to write Liz and see if their last two daughters could come to Permberly for an extended stay so they could socialize and hopefully fall in love. This novel was crafted so well. The language was done just perfectly as the reader still felt it was taken place in the 1800's right after Elizabeth and Mr. Darcy were wed. In my opinion, it is hard to write in old world English and it is not spoken today. The fact that Kate Allan was able to capture that for her readers was amazing. The atmosphere and the way the ladies were treated, how courteous the men were when leaving a room etc was also done to perfection. It had me wishing I was in the 1800's for I'd love the romance aspect of being courted. Mary is one who has always been content reading, singing, and enjoying the activities that are limited to a male in her time period. However, rather than feel comfortable doing so, her parents and family want her to "change" and be more "girl-like" with dancing and entertaining, so that she may find someone to marry. Kitty is so different from this. Kitty has a big mouth and often says things she shouldn't say in public when trying to get a mans attention ,but she has a strong desire to marry. While she wants love, more than anything, she wants security, wrapped up in a very handsome man. Mary on the other hand feels that she would be perfectly fine being a spinster for the last of her days and has trouble talking and relating to how a lady should act in order to be courted by a man. Another thing that stands out for me in this novel was the way the author let us feel the way Mary must have been feeling at Pemberly. Going to parties and meeting new people is always stressful for a shy woman. The author did an amazing job of showing us the inner workings of Mary's mind. It helped to shape the way the reader could relate to her character even more. This is true beautiful companion and extension to "Pride and Prejudice" and one I hope you pick up if you are a fan of classic literature and beautifully told stories of love. Kate lives in the Bedfordshire countryside, England, close to the Chiltern Hills. She developed plans to be a novelist at the age of seven after reading about the career of prolific children's author Enid Blyton, whose adventure and mystery story books she read avidly. She taught herself to use her mother's typewriter to try and make her stories look like "proper books". Endlessly fascinated by "the past", Kate took a degree in History before starting a commercial career. She began seriously writing in 2001, taking a notebook with her on the train to make best use of her commute to work. She wrote two historical novel manuscripts before receiving an offer of publication for the second - a short novel - in 2004 from DC Thomson. Fateful Deception is a romantic adventure set in the early 19th century and was shortlisted for the 2005 RNA New Writers Award. 2006 saw the publication of Perfidy and Perfection, Kate's romantic comedy set in Jane Austen's England, and the publication of two short novels: Fateful Deception and The Restless Heart. Kate also writes in partnership with author Michelle Styles under the name Jennifer Lindsay. Jennifer Lindsay's first novel, The Lady Soldier, is a romantic adventure about a lady who disguises herself as a man in order to join Wellington's army. It was published in 2005. The kind of stories Kate writes are those that she would like to read, and she hopes that others will find them enjoyable and entertaining too. Kate is member of the Romantic Novelists Association and the Society of Authors.